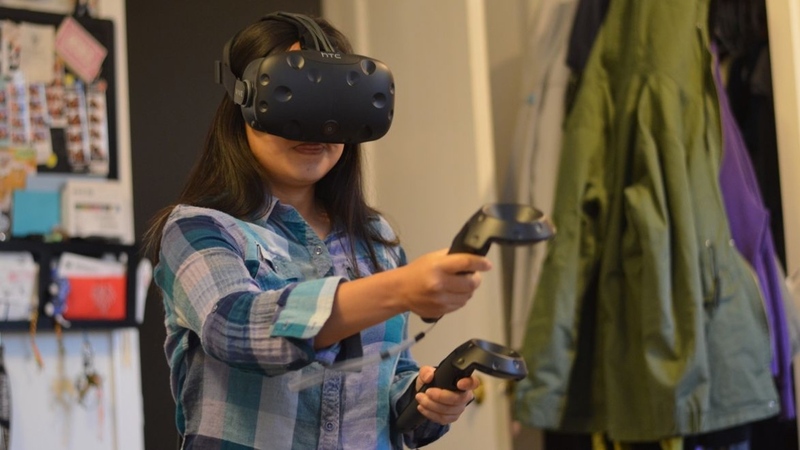 The HTC Vive has received a price slash, with the VR headset and controllers now costing $599. The move represents a big $200 reduction from its previous starting price of $799, which also technically puts the device into line with its closest competitor, the Oculus Rift. The Facebook-owned company's March price cut saw its Touch bundle also become available for $200 cheaper recently, leaving HTC's offering in a considerably higher bracket for those looking to choose between the pair. An Oculus summer sale currently places the Rift at $399 and after that it will rise to $499. Those opting for the Vive package will receive the headset, two motion controllers and the Lighthouse sensors that allow you to take advantage of room scale tracking, with a free trial to Viveport also attached. But while the decision from the Taiwanese company would appear to be to stay competitive, Rick Steiber, president of Viveport, has claimed that reducing the price of the headset was always in the works. "I think we are the leader in the market, and the plan was always that high-end VR be available to everyone. So of course there are a couple of components that need to fall into place — in order to reach the mass market, you need to have a lower price point. That's been the plan all along. I think it's good that other players in the market are making similar moves," he said. Whatever the reason for the price drop, it's good news for VR. It's taken some time, but the high-end systems are slowly becoming more accessible. Whether this also helps carve out a lane for the upcoming, more advanced standalone headsets remains to be seen.